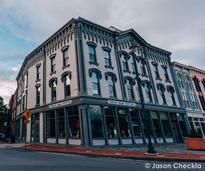 Glens Falls is home to many intricate and unique buildings, most of which are more than 100 years old. Looking deeper into the history of some of these landmarks paints a picture of a city that was at the forefront of architecture from the mid 1800s to the early 1900s. 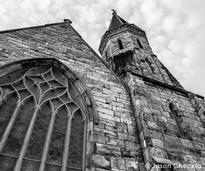 Its Gothic Revival style makes the Church of the Messiah on Glen Street catch your eye. It took 11 years for it to be completed in 1865. 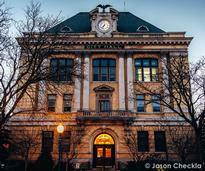 Built in 1900, the Neoclassical-style City Hall building on Ridge Street has served as Glens Falls' civic affairs headquarters since 1908. 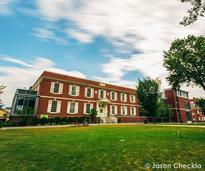 The library itself dates back to Henry Crandall's original donation in 1892, but the building wasn't completed until 1931. When the previous structure at 6 Warren Street burned down in the Great Fire of 1864, Marcus F. Cummings designed a new one to replace it. 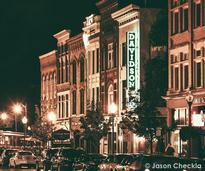 The building at 184 Glen Street was home to multiple merchants and restaurants before the Davidson Brothers took over in 1996. Once a popular playhouse in the late 1800s and early 1900s, the building was renovated in 2008 and became the Empire Theatre Plaza. 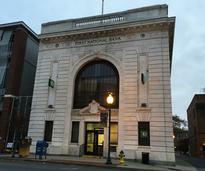 The banking company itself was organized in 1853, but the iconic Beaux-Arts style building on Glen Street was erected in 1914. After Union Free School District No. 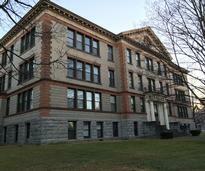 1 burned down in 1902, local architect Ephraim B. Potter was commissioned to design a new school. 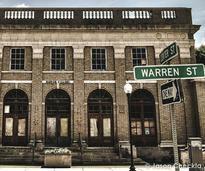 The former post office building on Warren Street was erected in 1915, and was almost torn down in the early 2000's. 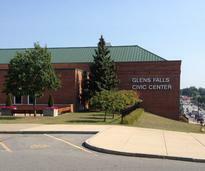 The Civic Center opened in 1979 at the end of the 15-year Urban Renewal Era that dramatically changed Glens Falls. 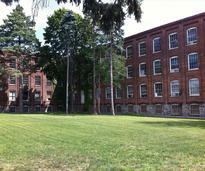 The brick building atop Glen Street Hill has housed J.E. 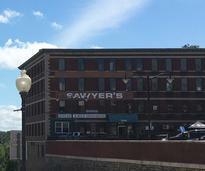 Sawyer & Co. for more than 100 years, but was built by W. Irving Griffing for his business in 1904. In the early 1900s, the three Pruyn sisters built homes on adjacent lots on Warren Street. 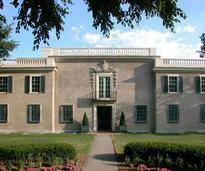 One of the homes would eventually become the centerpiece of The Hyde Collection Art Museum. 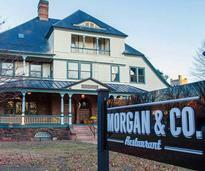 The McEchron House was built in the late 19th century and was modeled after Queen Anne and Romanesque Revival designs. 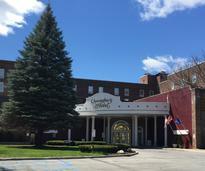 Built in the 1920s to serve as the crown jewel of Glens Falls, The Queensbury Hotel has accommodated many famous guests throughout the years. 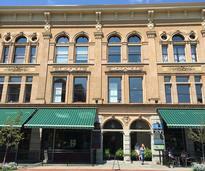 In 1902, after the third great fire, two Glens Falls locals established The Shirt Factory on Lawrence and Cooper Streets. 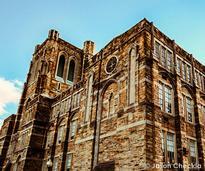 A fine example of Neogothic architecture, St. Mary's Academy moved into this building on the corner of Warren and Church Streets in 1932.